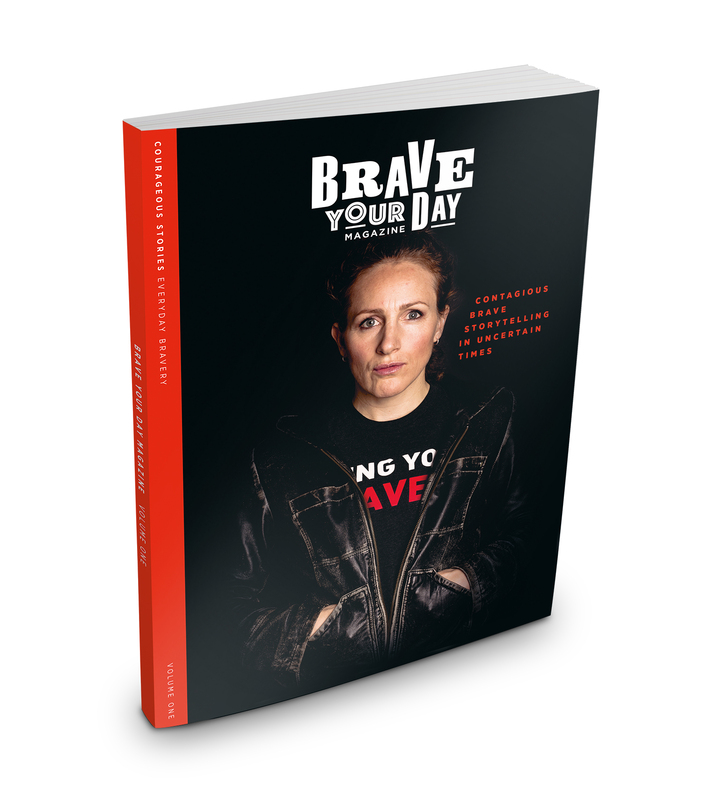 Our idea behind Brave Your Day book is to spotlight everyday bravery storytelling in uncertain times from Scotland to New York. This 100-page volume is packed with brave humans braving their day their way, despite fears. We believe in the power of bravery like a contagion and antidote against fear and uncertainty. The more bravery we hear and witness the more willing we may be to take more risks to discover and experiment with braving out our own days, our way.